The ethical fashion market is growing – in fact it’s never been bigger thanks to increasing demands from customers wanting more ethical and fair clothing. In saying that though, it can be daunting knowing where to start looking for clothing. To help you out I’ve listed some UK ethical clothing brands catering for women that you might love. Some you might know, others you may not. All adhere to the Moral Fibres ethos of hip, not hippie! I’ve stuck to UK based women’s ethical clothing brands because I’m UK based and that’s what I know. With over 30 ethical clothing brands listed here, I also had to draw the line somewhere, and geographical boundaries seemed like the most practical place to start! If you’re after men’s ethical clothing then do click here for that as I’ve got you covered! Fashion forward Antiform source all of their materials and workmanship within the UK, and local to their Bristol based studio of possible. They are big on the use of reclaimed materials with many items made from 100% reclaimed material. Working only with factories that are within the EU, pay fair wages, and provide good working conditions, Beaumont Organic’s range of GOTS certified clothing are perfect for casual wear. Luxury womenswear with UK based production. Fabric remnants feature as fastenings and embellishments, adhering to the Beautiful Soul London policy of zero-waste, whereby every last thread of fabric is used in the creative process. Pricey (very pricey) but very beautiful. Laidback fairtrade fashion that’s simple yet stylish, and very wearable. All of Bibico’s items are made from natural materials so you won’t find any synthetics in their online shop, or in their bricks and mortar shop in Bath. They even have a lovely range of organic cotton clothing. Sign up to their newsletter and you’ll even get 10% off your first order. They also run regular sales which are worth keeping your eye out for. Easy to wear fairtrade clothing made from bamboo, hemp and/or organic cotton, often in beautiful prints. Keep your eye out for regular sales. An eco-friendly and ethical clothing brand, where all clothing is made-to-order and either produced in the studio or at a small factory in Northumberland. The factory employs local people and pays a living wage. brm strive to use eco-friendly and sustainable fabrics for as many of their pieces as possible. 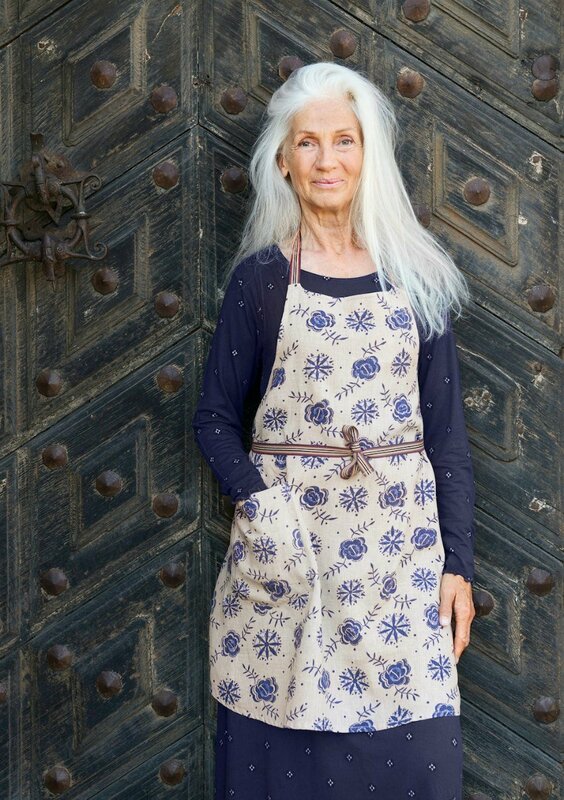 Uniquely printed dresses and skirts made from organic cotton in Europe and the UK. The prints are hand drawn in their London studio. These seriously beautiful clothes are high up on my wishlist! Keep your eye out for sample sales. Based in Great Britain, Celtic & Co specialise in shoes and clothing made from ethically sourced natural fibres. Focusing on quality and design, rather than seasonal trends, Celtic & Co pieces are designed to last a long time. This ethical clothing brand specialises in fairly made laid back leisure ware. 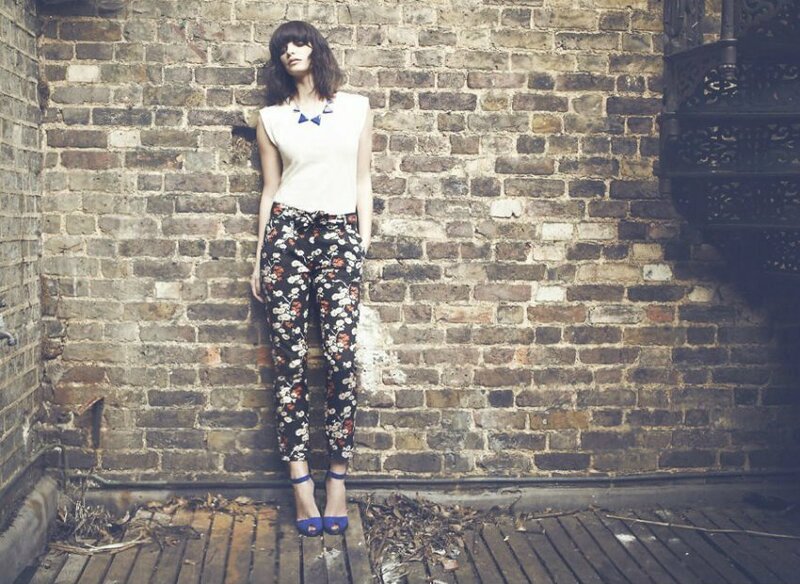 Etrala London produces high-end limited run ethical collections. Each piece is handmade in London using natural fabrics such as pure silk, British wool, and ethically-sourced leather. In order to reduce surplus stock and wastage, they only produce as per demand. An ethically made and sustainable outdoor clothing, which even offers a repair service for your Finisterre jacket. Colourful eclectic clothing made ethically, and often organically. I also appreciate their use of older models – it’s such a refreshing change. Ethically made by Nepalese craftspeople, the collection at Here Today, Here Tomorrow is small but perfectly formed. High quality organic and recycled outdoors clothing designed to last. The Kitty Ferreira brand makes stylish sustainable clothes perfect for work or special occasions, all of which are made in London. Clothes are dyed using natural dyes, the silk they use is organic and cruelty-free, and where possible they use British made upcycled fabrics. And in a very welcome move, the clothes go up to a size 26 – which is good news for customers looking for plus size ethical clothing. 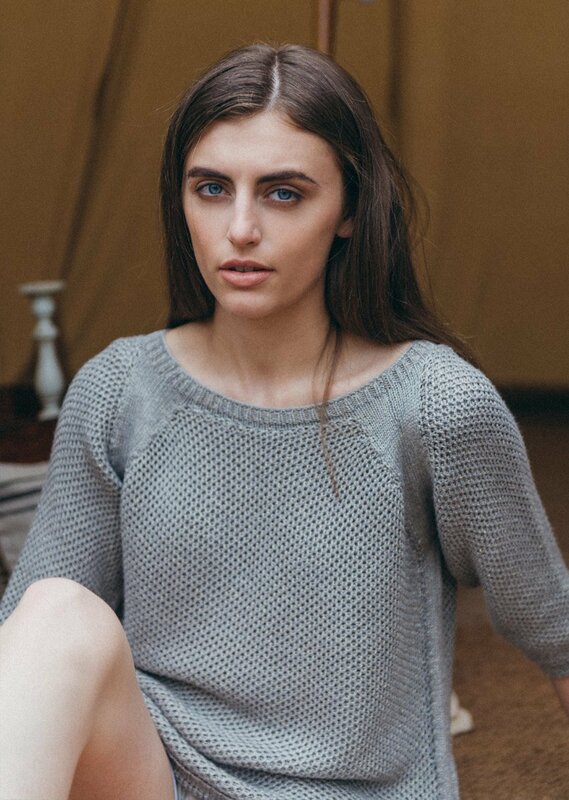 Ethically sourced, organic and natural fibre fashion that’s every bit as stylish as ethical. All of Little Lotus Boutique’s small collection of garments are handmade in rural Cambodia by skilled artisans in line with their ethical principles. Lost Shapes sell organic cotton Earth Positive t-shirts hand printed with water based inks. The quality is second to none and from experience I can each item washes really well. Lowie’s exceptionally stylish clothes are fairly made from organic cotton, recycled cotton, or ethically sourced wool, and they even offer a free repair service on all items from their current and past seasons. 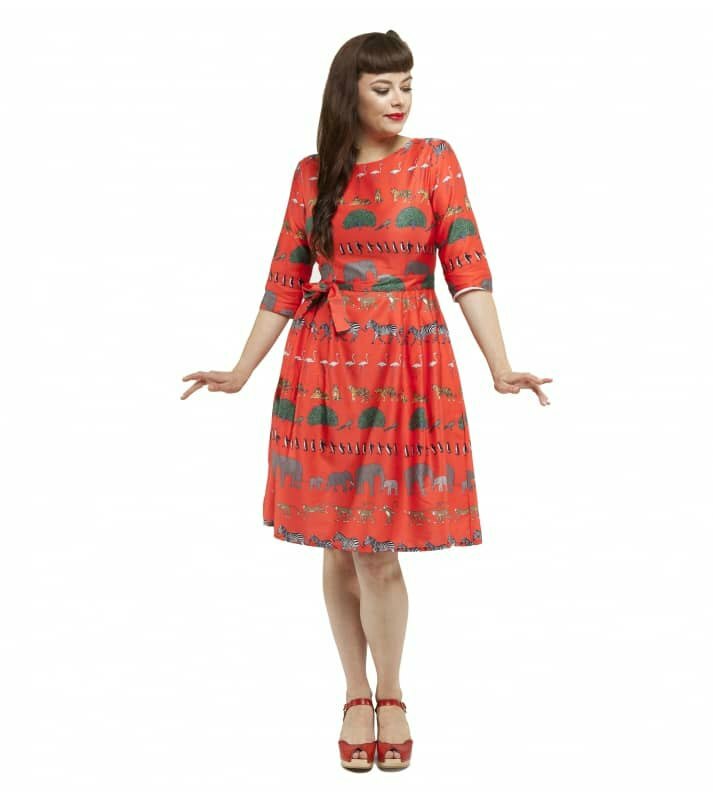 Cotswolds made stylish ethical clothing in sizes 8 – 18. Items are produced from sustainable fibres, and minimising wastage is at their core. Madia & Matilda say they create clothing that is timeless, great quality, classic and not trend focused, so their pieces are ones you can truly invest in. Mayamiko clothing is ethically made in Malawi, and combines contemporary design with traditional African techniques. Part of their profits also goes towards the Mayakiko Trust, which helps some of the most disadvantaged people in Malawi by providing skills training, education, nutrition, sanitation and promoting fairer trade practices. Prices range from £19 upwards for tops, and £35 upwards for dresses. Purveyors of organic bamboo jeans, made in England, that are beautifully soft. My only gripe is that Monkee Genes only come in two leg lengths – regular and long. The regular leg length is 31″, so if you’re on the shorter side you may struggle with the fit. British made fashionable ethical clothing for every occasion that’s made with sustainable eco-friendly fabrics. Join their mailing list to get 20% off your first order. Ethically made sleepwear and loungewear that’s both fairtrade and made using 100% GOTS certified cotton. Bohemian inspired ethical clothing in size 8-18 that’s designed in the UK and fairly made in India using GOTS certified cotton. Use discount code WENDY10 for 10% off your order. Beautiful, timeless clothes ethically made by this ethical clothing brand using sustainable materials, such as hemp, hemp silk, organic cotton, naturally coloured cotton, peace silk and more. Responsibly made outdoor clothing designed to last, and to be repairable. The website gives advice on how to repair all Patagonia items, which is seriously useful, and for any clothing that can’t be repaired then you can drop it off at a Patagonia store for recycling or repurposing. People Tree sell fairtrade basics, leisurewear, workwear, and occasion wear, often in 100% organic cotton. They often work in collaboration with designers, such as Orla Kiely and Zandra Rhodes, to produce some original prints. Quite often this ethical clothing brand is my first stop when looking for ethical clothing. Keep an eye out for regular sales if you’re shopping on a tight budget. This ethical clothing brand sells a small collection of fun and colourful wardrobe basics, all designed in the UK and made in a fair-wage, sustainable atelier in Bulgaria. Riyka say they use reclaimed, organic, and/or British made fabrics where possible, and all of the organic cotton they use is GOTS certified. 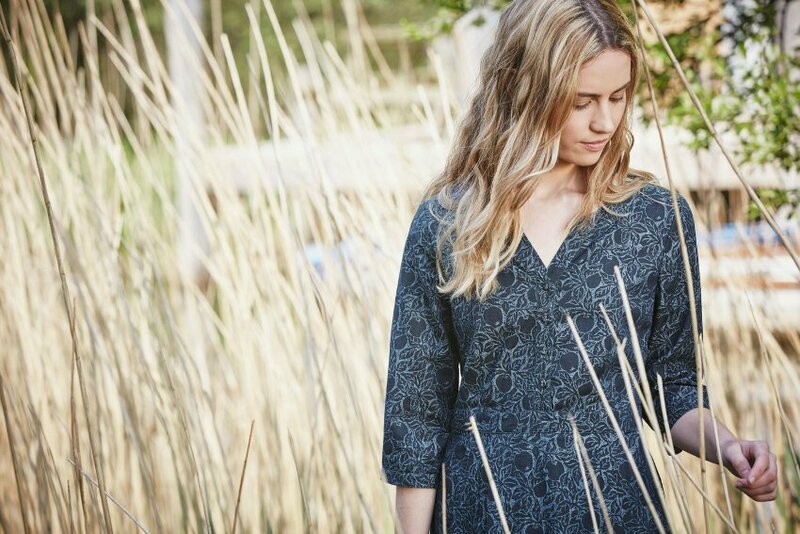 Seasalt specialise in beautiful timeless clothing and stunning prints and are actively increasing the number of products they manufacture locally in the South West, Guernsey and across the UK, through their Locally Made project. Short for The Hemp Trading Company, THTC is an ethical clothing brand that specialises in eco-friendly organic and ethically sourced and produced politically-conscious street-wear. Edinburgh based Totty Rocks produce stylish retro inspired clothing, all of which are designed and made in Scotland. The White T-Shirt Co produce simple wardrobe basics in 100% GOTS certified organic cotton. If you’re looking for the perfect ethical white t-shirt then step this way. Linen and cotton clothing handmade to order in Shrewsbury. Often hand dyed with natural dyes, and printed with hand-carved blocks, this is slow fashion at it’s finest. At Wool & The Gang, you can buy a pre-made item, made by the Wool & The Gang community of knitters around the world – their “global knitwork of gangstas. Nothing is mass produced – it’s all made by knitters in their own homes. If knitting is your thing, then instead you can simply order the pattern and the wool to make your own. They can even supply you with the knitting needles! Have I missed any? Please pop your favourite ethical clothing brands in the comments below. 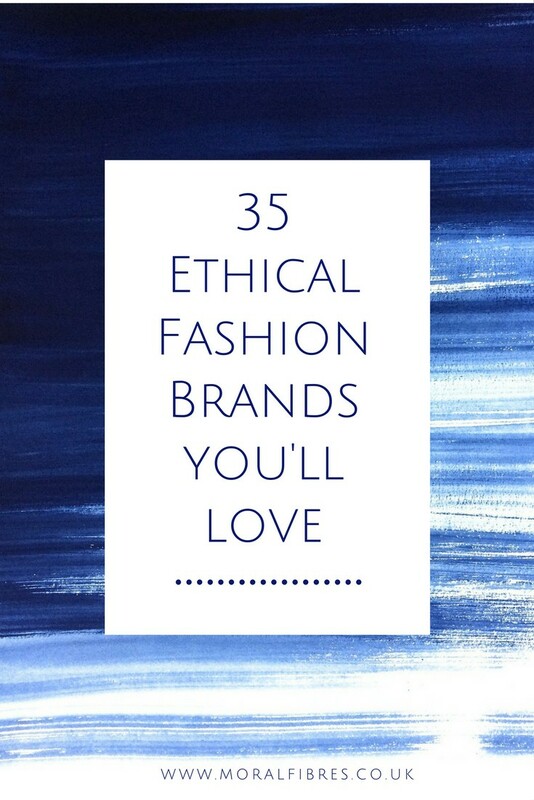 And found this guide to ethical clothing brands useful? Why not pin it for later!